The following article is reblogged from the folks at The Vigilant Citizen. Certainly, some will balk at the point of the article because nothing can be categorically proven. It has long been our considered opinion that the foods we eat – highly processed and preservative and chemical laden – cause tremendous sickness and even death throughout society. Instead of understanding what the problem might be (the food and beverages), people tend to go to their doctor. Once there, they are given numerous prescription medications that are designed solely to eliminate symptoms, but rarely do these prescriptions heal any disease. I would encourage you to also read the second and third parts in the same series over at The Vigilant Citizen. No one can live forever in this life. That much is certain. However, there is an extremely high percentage of people who are overweight and experience terrible health problems as well. You likely know some and you may be one of them. Could it be our food and/or what we drink? If not that, what else can it be? While the Eugenics program during the days of Margaret Sanger (funded by Rockefeller) was literally out in the open, today’s Eugenics program is more undercover. We need to eat so how could we conclude that the foods foisted on us and made available in our grocery stores are actually weakening our immune systems so that we develop bad health and even cancer? To admit this means that the people in charge are either deliberately attempting to cull the herd of society or they are so concerned about making money that they do not care about the consequences of the terrible food that is available to us. In either case, the problems seem to exist and because the people who control the food companies and pharmaceuticals have so much pull with the federal government, they essentially get what they want, one way or another. America has witnessed during the last decades a staggering rise of drugs being prescribed to treat all kinds of problems. Children are particularly affected by this phenomenon. Since the 1990’s, an ever-rising proportion of American children are being diagnosed with “illnesses” such as Attention Deficit Disorder (ADD) and are prescribed mind-altering drugs, such as Ritalin. Pediatricians as well as ethicists have also voiced their concerns in usage of these stimulants. In an article published in the New York Times, they have questioned the appropriateness of medicating children without a clear diagnosis in hopes that they do better in school. They also asked whether the drugs should be given to adults failing in their careers or are procrastinators. They question the worthy of this method. This concern have also been voiced out in the January 2005 issue of Pediatrics in which the large discrepancies between pediatricians’ practice patterns and the American Academy of Pediatrics (AAP) guidelines for the assessment and treatment of children with attention-deficit/hyperactivity disorder (ADHD) was bought forth. The article also stated that because the medical community didn’t come to a consensus on how to diagnose ADD/ADHD, they should not be making extensive decisions as to how to treat individuals who have been diagnosed with the disorder. At the present time, a single company – Monsanto – produces roughly 95% of all soybeans and 80% of all corn in the US. Considering this, the corn flakes you had for breakfast, soda you drank at lunch and beef stew you ate for dinner likely were produced from crops grown with Monsanto’s patented genes. There are numerous documents and films exposing Monsanto’s strong-arming of the agricultural industry, so I won’t expand on that issue. It is however important to note that a virtual monopoly currently exists in the food industry and there’s a unhealthy link between Monsanto and the American government: Many people who have passed laws in the fields of food, drugs and agriculture were also, at some point on the payroll of Monsanto. In other words, the elite decides which foods are sold to you. Michael R. Taylor was an assistant to the Food and Drug Administration (FDA) commissioner before he left to work for a law firm on gaining FDA approval of Monsanto’s artificial growth hormone in the 1980s. Taylor then became deputy commissioner of the FDA from 1991 to 1994.Taylor was later re-appointed to the FDA in August 2009 by President Barack Obama. 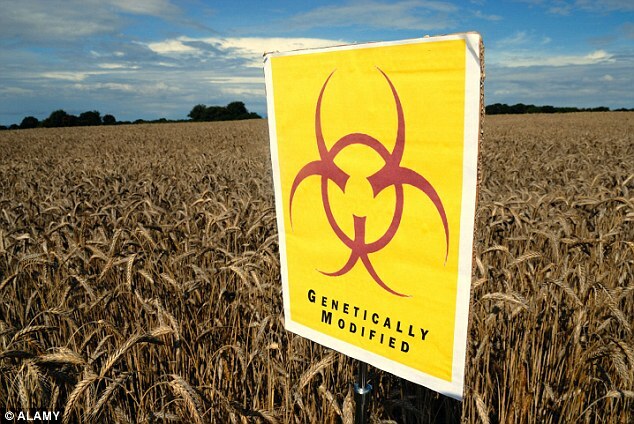 According to current statistics, 45% of corn and 85% of soybeans in the United States is genetically engineered (GE). Estimates of 70-75% of processed foods found at our local supermarkets are believed to contain GE ingredients. Aspartame is an artificial sweetener used in “sugar-free” products such as diet sodas and chewing gum. Since its discovery in 1965, Aspartame caused great controversy regarding its health risks – primarily causing brain tumors – and was denied its application to be sold to the public by the FDA. Searle, the company attempting to market Aspartame then appointed Donald Rumsfeld as CEO in 1977 … and things changed drastically. In a short period of time, Aspartame could be found in over 5,000 products. If the main message of [Vigilant Citizen] has been to this point “watch what enters your mind”, the main message of this article is “watch what enters your body.” The consumption of the products stated above will probably not cause an immediate and noticeable effect. But, after many years of ingesting those substances, one’s thoughts become increasingly clouded and foggy, the ability to concentrate becomes hindered and judgment becomes impaired. In other words, the once sharp mind becomes dull. What happens when a population is heavily sedated and poisoned on a daily basis? It becomes numb, zombie-like and docile. Instead of asking important questions and seeking a higher truth, the dumbed-down mass simply accomplishes its daily tasks and absorbs whatever the media tells them. Is this what the elite is looking to create? Entry filed under: Agenda 21, christianity, Cultural Marxism, David Rockefeller, Demonic, devil worship, Emotional virtue, eternity, Global Elite, Life in America, new age movement, Political Correctness, Politically Correct, Politics, Religious - Christian - End Times, Religious - Christian - Prophecy, Religious - Christian - Theology, salvation, Satanism, second coming, Shadow Government, Transhumanism, Trilateral Commission. Tags: dumbing down society, genetically engineered, genetically modified, nutrition, the elite, vigilant citizen. What Can We Expect During the Millennium, Part 1? What Can We Expect During the Millennium, Part 2?